Specialized carpentry with a focus on Staircase renovations Free in home estimates within 25 mile radius of office at a mutually convenient time. We're a small hands on company with over 25 years of carpentry expertise.We have excellent personal and online references for people to review. We make sure to pay attention to the details so that our customers are proud and pleased of the finished product.We warrant all of our work. 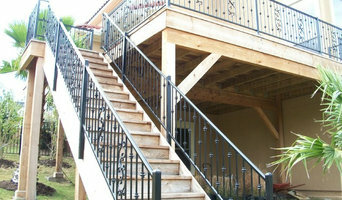 A custom railing system will accomplish more than a safety enhancement to your home or building. High quality materials and manufacturing ensure that your view isn’t spoiled by the safety railing. Space age safety glass, extruded aluminum and cable systems can be configured to enhance the beauty of the setting. Plus, because we recommend powder-coated metal finishes, your guard rails will be attractive from day one. 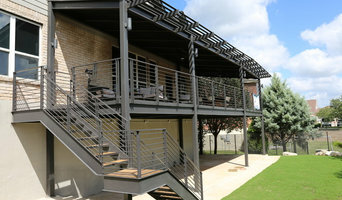 Texas Railing Systems was founded in 2009 out of the desire to meet a need in the fast-growing Texas residential and commercial construction segments. Texas Railing Systems is managed by professional leadership with over 30 years of personal experience in the residential, commercial, and manufacturing environments. With well over 1,000 projects managed and valuations up to $1.5 million, choosing Texas Railing Systems takes the worry out of the process. And, because we are centrally located in the Texas Hill Country, we can reach you anywhere in the state within the day. Your Texas project is not beyond our reach. We are sticklers about keeping our work area clean and neat, and we measure our quality in terms of our timeliness as well as the project quality. Our commitment is getting your project done right in a timely fashion—so you can enjoy the views that much sooner.